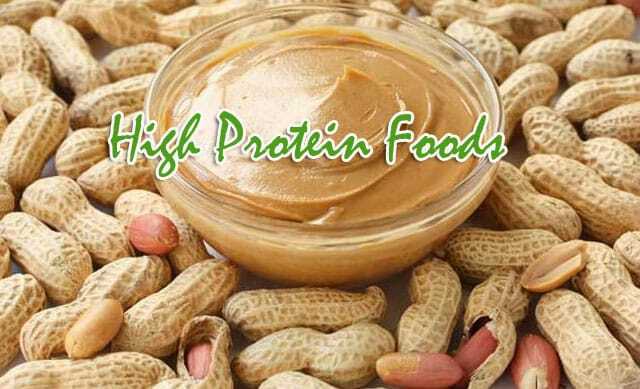 High Protein Foods – To meet protein, we do not have to consume meat. Many other sources of protein can be consumed like the following foods. These are non-meat foods but high protein food, for you as a vegetarian, maybe this is the best choice to get protein. Many people worry about eating meat to health, because meat contains bad fats that can cause the risk of heart attack and cancer. High protein foods are sourced from non-meat can be the best choice. Here we will look at the best protein sources of meatless foods that we sort by the highest order to the lowest. This measure is taken from every 100 grams of food. Seitan is also known as wheat gluten, this food puts the first position as a high protein food in the non-meat category. In 100 grams Seitan provides more daily protein than is needed by the body. Protein content in seitan reaches 75% of the total. In addition, seitan jug have other advantages, it is a low-sodium food, low carbohydrate, high in calcium and iron. Seitan is also very low in fat so it becomes the best solution to add protein without cholesterol. If you like seitan, it can be a substitute for chicken and turkey with exceptional protein content. Furthermore, high-protein foods are lentils. If you have not tried it, you should start to consume this vegetable because it provides lots of protein. It is a vegetable rich in fiber and contains 26 grams of protein in 100 grams of lentils. No need to consume them in one meal, you can consume them little by little and you will get tremendous benefits. Not only that, lentils also include foods rich in iron and magnesium even it contains high potassium. Just like seitan, it is low in sodium and free of cholesterol. It is a smart meat substitute choice that is rich in protein. Peanut butter contains 1/4th of protein and become very amazing thing for you. Besides beans also have a delicious flavor that makes a lot of people do not get tired of enjoying it regularly. In addition, peanut butter is also a good source of fiber, potassium, and magnesium sources that are useful to maintain and help the body function properly. Another interesting thing is the content of vitamin B-6, it serves to help the body’s metabolism and maintain healthy heart. However, in addition to high fiber and protein, peanut butter should also be limited because it contains high fat. Eating peanut butter in the right size can help you lose weight, but if excessive can lead to weight gain. How to eat peanut butter, enjoy a smoothie with peanut butter to taste, and thicken. Dip the apples and celery with peanut butter as your healthy snack. Hemp seed also includes protein-rich foods, in our list he is ranked fourth as a protein-rich (meatless) food. Protein in hemp seed is easy to digest and has the effect of preventing inflammation. So, this is very good for those who experience inflammatory diseases. To get hemp seed you have to order online store or go to health store. Interestingly, the price is affordable even if for organic hemp seed though. Hemp-seed does not provide psychoactive effects, even if it comes from the same plant as marijuana. We can buy it freely without any legal rules governing it. How to consume hemp-seed: You can enjoy it in various ways such as stuffing into soups, salads, smoothies, and other foods. Black beans are one of the most popular foods of all time, but vegetarians now know that black beans include alternative foods to supply protein. One of the benefits of black beans is controlling diabetes because it can keep blood sugar levels. Black beans are easy to digest and keep your portions stable. In addition to high protein, you can use black beans as food to lose weight because of low fat and rich in fiber and protein. Almonds are an excellent source of protein, and are easy to carry anywhere to make it easier for you to consume even as a healthy snack. In addition to high protein, almonds are also rich in fiber that allows you to make it as a weight loss diet. In addition, almonds are also rich in iron, calcium, potassium and magnesium are useful to keep sleep quality. Sun flower seeds also include as foods high in protein that can meet your protein intake in a short time. The benefits of sunflower not only in raising protein levels, but it can also lower cholesterol. Magnesium content is able to calm you and the content of selenium can prevent cancer cells. To prevent you from consuming lots of carbohydrates, bring a handful of sunflower seeds to where you go, this will cause you to eat without consuming a lot of rice or other carbohydrate-rich foods. Furthermore, high protein foods in our list are tempeh. In 100 grams of tempeh already contains 19 grams of protein. Tempeh is a good healthy food to replace meat, and the benefit is to reduce cholesterol and sodium. Tempe is made through the process of soy fermentation, it provides cardiovascular and anti cancer benefits. If you are a vegetarian, tempeh can be a substitute for meat to provide daily nutrition. Tempe can be consumed by frying, adding vegetable greetings and in sambal. However, the healthiest way is to add it in vegetables. Also, protein-rich foods are quinoa. It is a gluten-free but protein-rich food, in 100 grams of quinoa containing 14 grams of protein. Another interesting thing is the amino acid. Quinoa contains all kinds of amino acids that the body needs. In addition, quinoa is a healthy diet full of fiber, potassium, and contains minerals. Among the health benefits of quinoa are the low glycemic index, lowering cholesterol, blood sugar and high blood pressure. Maybe we are familiar with eggs, but in our list eggs occupy the position to 10 as a high protein food. However, health experts are still arguing about “whether eggs benefit a lot for health or not”. However, the protein content is not denied. To get 13grams of protein, you should consume 2 large eggs and eat them whole. Eggs are foods that are very easy to prepare, you can fry, boil or add to the cake or other foods.